Bezzecchi snatched the lead away from Binder on the drag to the finish line coming out of the final corner, and in doing so cut Martin's championship advantage to one point heading into the final three races. Lorenzo Dalla Porta also drafted his way past Binder to take second by a single thousandth of a second. The Motegi race was another typically frenetic pack encounter, although it was PrustelGP KTM rider Bezzecchi that spent the most time in the lead during the 20-lap contest. 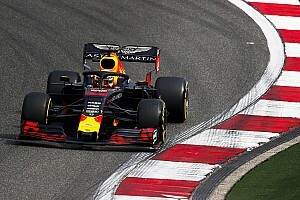 He grabbed the lead from poleman Gabriel Rodrigo on the opening lap, and barring brief stints in the lead for Dalla Porta and Martin he remained in control up until the 14th lap. That was when Martin and Binder both bundled past Bezzecchi on lap 14, and as Binder took the lead Martin and Bezzecchi came very close to making contact at the Turn 11 right-hander. 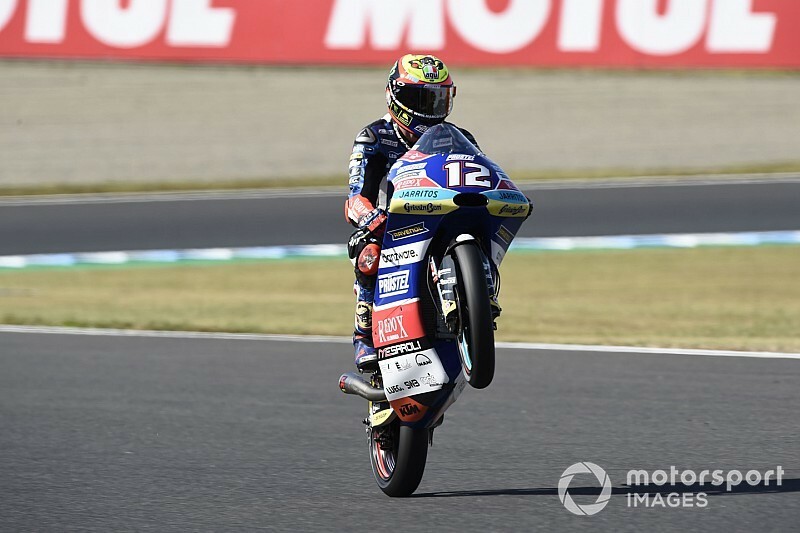 The loss of momentum knocked Martin down to sixth, and in his desperation to claw back the lost ground the Gresini Honda rider slid out of contention at Turn 11 on the following lap. From there, Bezzecchi opened a lead of a few tenths after retaking the lead from Binder, but the South African rider regrouped and made what seemed a perfectly-timed overtake at Turn 5 on the last lap. The younger brother of 2016 Moto3 champion Brad Binder held the lead through Turn 11, but got poor drive exiting the final right-hander and found himself pipped to the line by both Bezzecchi and Dalla Porta's Leopard Honda. Nevertheless, the Ajo KTM rider still picked up his first-ever grand prix podium finish in third. 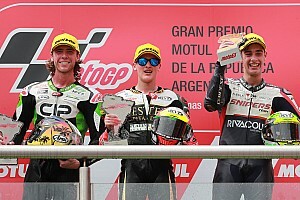 Two tenths behind the lead trio Dennis Foggia (Sky VR46 KTM) backed up his Thailand podium with fourth place, beating John McPhee (CIP KTM), Tony Arbolino (Snipers Honda) and Enea Bastianini (Leopard). 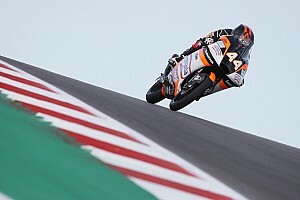 Rodrigo (RBA KTM), who joins Gresini next season, could manage no better than eighth, ahead of local hero Ayumu Sasaki (Petronas Honda) and Bezzecchi's PrustelGP teammate Jakub Kornfeil. Nicolo Bulega skipped the race after injuring his right hand in what his VR46 team termed a 'domestic incident', but replacement Celestino Vietti picked up two points for 14th on his grand prix debut. A crash for Fabio Di Giannantonio compounded Gresini's miserable race, with the Italian being taken to the medical centre for a check-up after suffering a particularly nasty high-side on lap 6 at Turn 12. Also heading to the medical centre were Niccolo Antonelli and Vicente Perez, who tangled on the second lap, while Aron Canet - back from injury after skipping Thailand - was a first-lap crasher.